Jessica´s first test was cancelled due to bad weather, however, the extra experience she gained driving around in almost a white out gave her more confidence. Unfortunately because of Jessica´s line of work we are not able to include her photo. 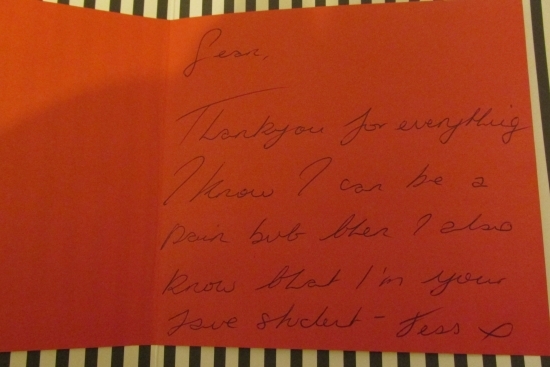 Instead a photo of the card she sent to me. Thanks also for the chocs, be safe.